In Scoil Mhuire, Butlerstown, Gaelic games forms a vital element of our P.E. programme. Pupils are taught games and ball skills from Junior Infants through to 6th Class. The work of the class teacher combined with that of external coaches such as DKAM Sports and our visiting GAA coach all contribute to the development of the skills required to enable pupils to participate in formal games as they progress through Primary school. All pupils are encouraged to participate in Gaelic games, both as part of the nor- mal P. E. class and as an extra curricular activity. In Scoil Mhuire, pupils, boys and girls, have the opportunity to play Gaelic Football. 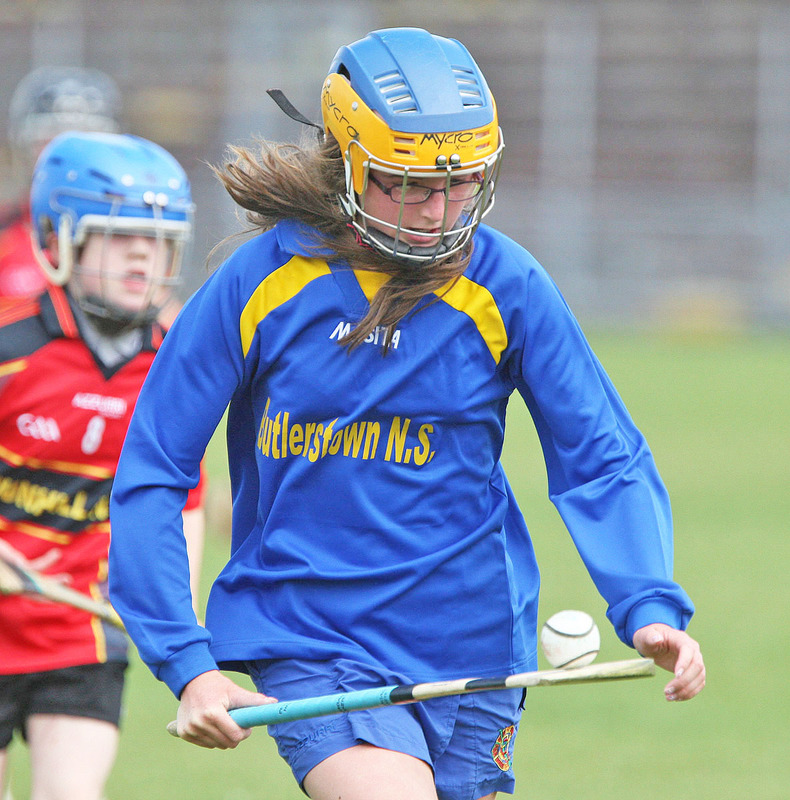 Boys are offered hurling and girls are offered camogie. We have been very fortunate over the past number of years to have teachers, both permanent and substitute , who have been willing to give of their time and talents on a voluntary basis, outside of their teaching duties, to coach pupils in gaelic football, camogie and hurling. Naturally, not all pupils will go on to become ‘All-Stars’ but we encourage participation by all. The acquisition of skills varies with the level of innate ability, however all pupils benefit from participation in a team sport. Gaelic games develops team spirit, co-operation and leadership. While not all pupils on a panel will make the team on a given day, the role of the ‘First Aid’ man, the ‘Maor Uisce’, and the ‘Maor Cumann’ are vital to the success of the team and ensures maximum participation. Representing your school in Gaelic Games competition is seen as both an honour and a re- sponsibility. Pupils are always encouraged to play their best and to respect their opposition. The manner in which pupils represent themselves and the school is seen as equally important to bringing home the silverware. Team spirit is stressed and is something that cannot be overrated. Pupils who look out for and support each other on the sports field are likely to do the same in other situations. Pride in the jersey and pride in the school has obvious benefits and creates a huge feel good factor, not only for those on the pitch but for all pupils. Teams don`t always win, but losses can be learning experiences and opportunities for learn- ing and personal growth. Pupils learn to share the highs of success and the lows of defeat. This year was a historic sporting year in Scoil Mhuire. Our winning spree began when our boys U-13 Gaelic Football team won their division in November. 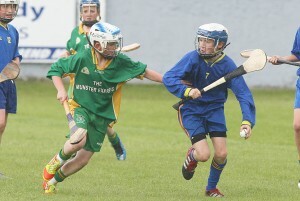 On a famous week in June the good run continued as our U-11 hurlers won their division. Next up were our camogie team who emerged victorious from our second final in two days in Walsh Park . 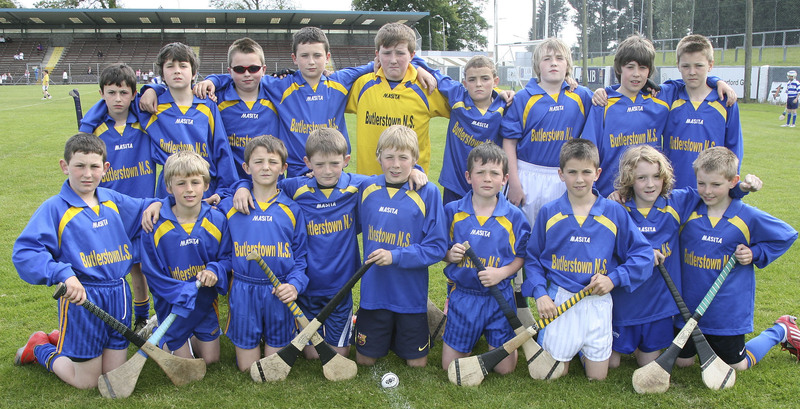 All eyes were then firmly focused on our U-13 hurlers, the third team to play a fi- nal in Walsh Park in as many days. The pressure showed on the boys in the first half and they went in at half-time 1 point down to their opposition. However, they showed their metal in the second half, and not to be the only team defeated, they emerged victorious after what proved to be a very tight game. There was jubilation from the Butlerstown supporters in Walsh Park, who by now had become familiar faces! What a week! What a year! Four finals and four victo- ries. To top it all we had two pupils, Aoife Shanahan and Eoin McGrath chosen for the primary games teams. What a buzz for pupils, coaches, teachers, and parents. It is hard to put the emotion of the week into words. The sense of pride and of com- munity would be hard to replicate. I think it sums up what Gaelic Games are all about. People ask what Gaelic Games means to Scoil Mhuire. It was exemplified when pupils from the various panels, gaelic football, hurling and camogie were asked to assemble in the school hall in their school jerseys for the presentation of medals by John Mullane. To see the number of pupils involved and the delight and pride on their faces as they were each congratulated by one of their sporting heroes was a joy to behold. In Scoil Mhuire Gaelic games are about participation, they are about enjoyment, they are about teamwork, they are about pride. Long may the tradition continue.